Lately, my interest with fancy things are increasing, maybe about 30% because it used to be 20%. In particular that I’m starting to adore are elegant watches. I’m thinking of actually buying them as gifts rather than for myself because they’re just too awesome! 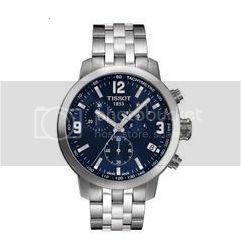 From viewing www.reeds.com/watch-brands/Tissot-cat115.html, you can tell how amazing this wrist watch is. Men actually love wrist-watches as gifts, for some reason. I don’t know why but I’m pretty sure my guy likes them very much especially the new ones that are more high tech and high end. Boy, at such moments, I wish I had all the money in the world!